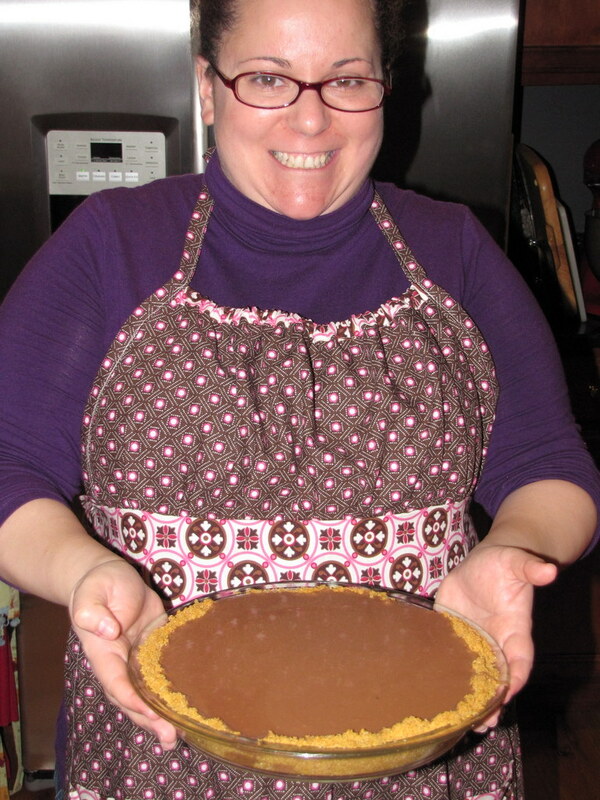 Other pie/apron projects: January Pie: Lemon Meringue, February Pie: Milk Chocolate Pudding, March Pie: Thin Mint Grasshopper. 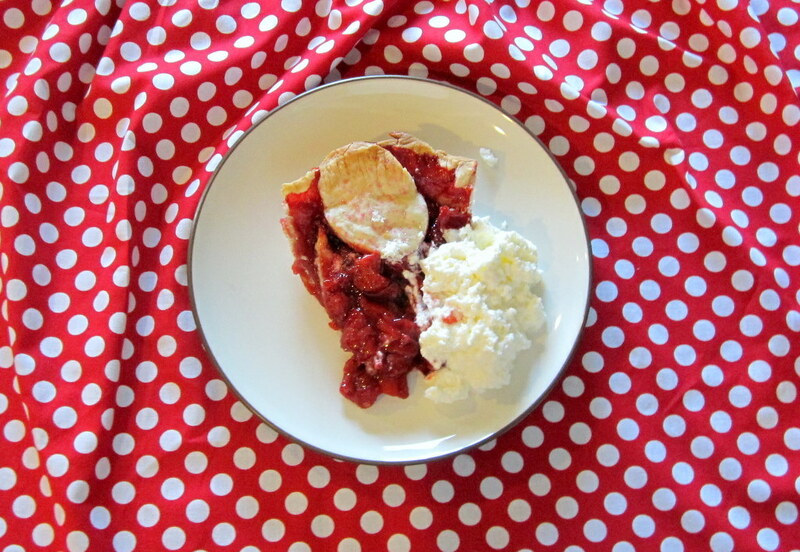 Okay, I’m finishing this week of recipes with my April pie and apron. Originally I wanted to make Shoo-Fly Pie this month using the Lancaster County Amish Cookbook, a locally produced book I picked up during our visit to Amish country. But all the Shoo-Fly recipes had either “Wet Bottom” or “Gooey” in the title. 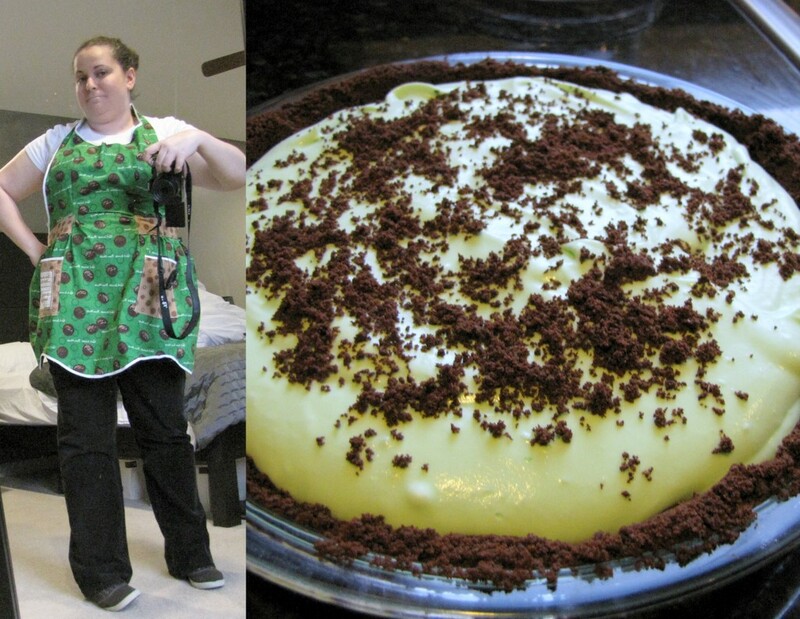 This was traumatizing for me, there was no way I could make a pie described as either of those things. 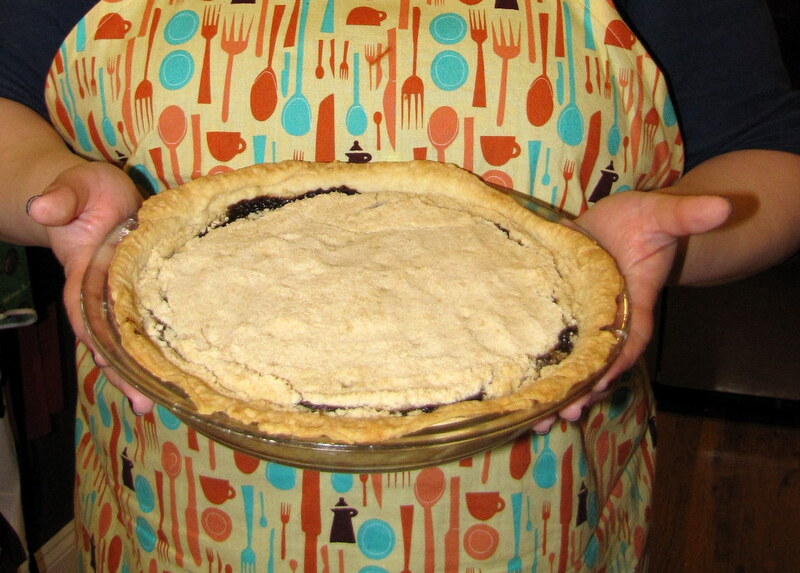 So, I picked this yummy Quakertown Crumb Pie recipe instead. And I used up some of my Lizzy House “Dish” fabric, which has been waiting for a good kitchen project. I had to decode the original recipe a little and make some changes, but in the end this was pretty delicious. Also, all the pie recipes in this book make 2 pies, so I did my best to halve them. It’s hard to halve an egg, but I tried. 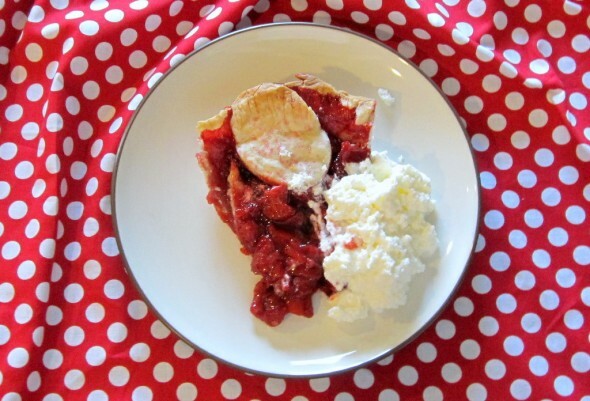 I also still had a round of pie dough in the freezer from January, so I was able to use that. This was fast and pretty yummy, but it’s a different kind of pie to get used to. We actually didn’t finish all of this one. 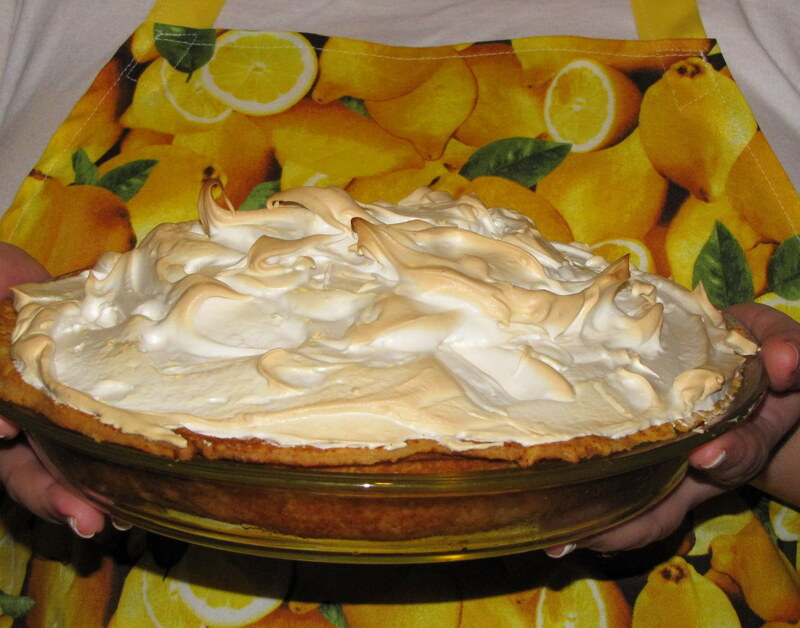 Other pie/apron projects: January Pie: Lemon Meringue, February Pie: Milk Chocolate Pudding. 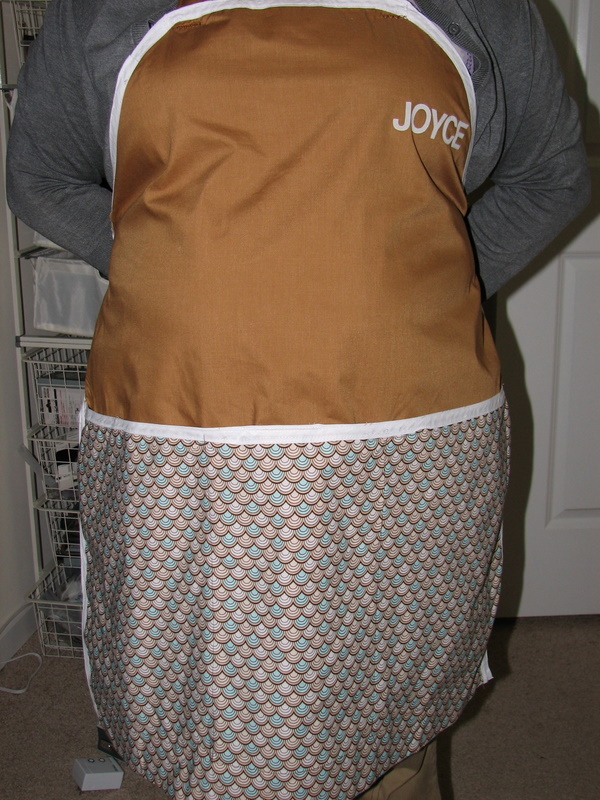 Confession: The apron I made this month was a bit of a nightmare, so I made the pie for St. Patrick’s Day and didn’t finish the apron until…about an hour ago. 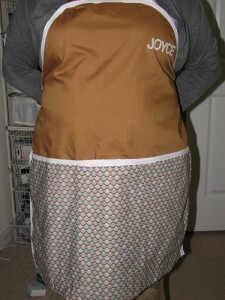 It was the Cottage Apron from the book One-Yard Wonders, which is a cute book with barely-there instructions. Seriously, if you don’t already know how to do things like make darts (which I didn’t), this is a tough one to finish. 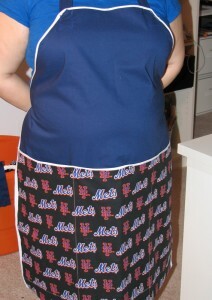 I wasn’t thrilled with the directions, but the apron is pretty cute once you get there. The pie recipe I settled on is The Pioneer Woman’s recent Grasshopper Pie recipe. I’ve known since I started this pie project that I wanted to use Thin Mint Girl Scout cookies in a St. Patrick’s Day minty pie. This was because I’d bought yards of Girl Scout cookie fabric last year with no idea what to do with it. 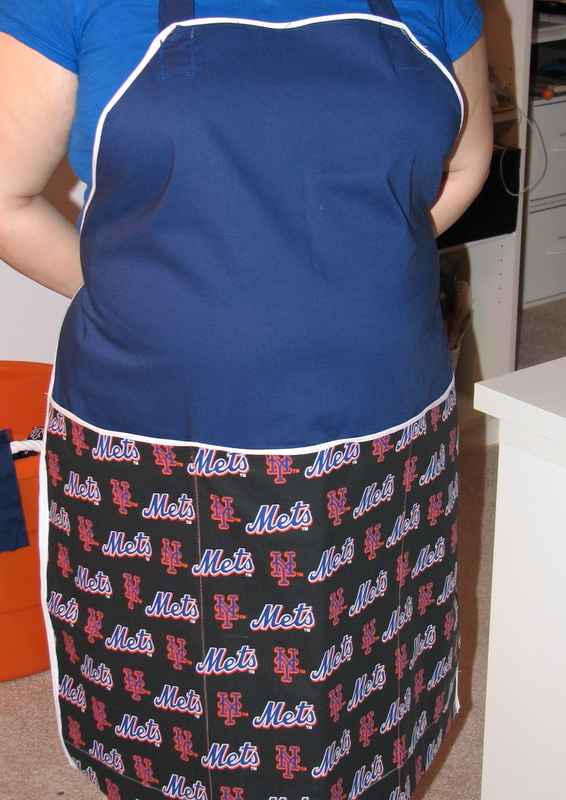 I wanted to stash-bust that Thin Mint fabric into an apron. And I did. And the pie was yummy, but not Adam’s favorite thing. Understandable, it has a weirdly sweet and strange taste that makes me think of childhood. And toothpaste. It’s very 50s, very retro, and fabulous in an Ambrosia salad kind of way.